CLEVELAND — After a long, cold winter, Cleveland is beginning to thaw out with the start of spring. This means farmers markets will soon pop up all across the area. But there’s one market that’s going a step further by offering free food to underprivileged seniors. Patricia Woodward is a on fixed income, money is always tight and on top of it, she’s got stage four cancer, so getting groceries and food to eat is always a challenge. 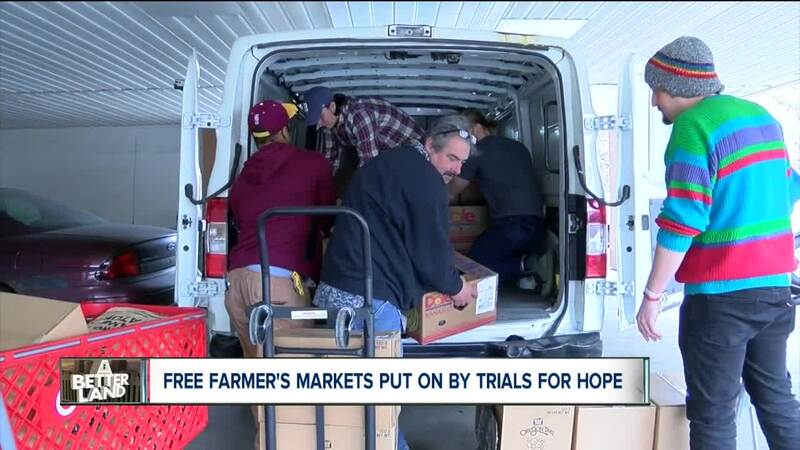 Trials for Hope, a nonprofit in Cleveland, that among other services, goes into local subsidized housing complexes and hosts free farmer’s markets, hands out food to those in need. Jonathon Gray started Trials for Hope eight years ago after receiving a large donation of toiletries before expanding. Gray now works in conjunction with the Greater Cleveland Food Bank who supplies food for Gray to distribute around the area. “I do it because it helps people live a little easier. The quality of somebody’s day is better when you’re not starving,” Jonathon Gray, founder of Trials for Hope, said. Founder of Trials for Hope Jonathon Gray. Each month, Trials for Hope gets 10,000 pounds of food to distribute among the farmers markets and other locations. The group also hands out 500 toiletry bags each month. It’s a full-time job, but Gray doesn’t receive a traditional paycheck. Instead, his pay is improving the lives of others. "My hope is that there are people out there who unconditionally care," Gray said. It’s that unconditional care that means a lot for people like Woodward. "I just want to say thank you, you feed me! I think it’s a wonderful thing you're doing for me and the other seniors." This story came from a News 5 viewer who submitted the idea for the story through our "A Better Land" feedback form.